Corrie star Simon Gregson (Steve McDonald) picking redcurrants at our allotment. Everyone gets a warm welcome at our allotment – whatever the weather. We welcomed Corrie’s Simon Gregson recently – he came to see how we’ve spent our Lottery funding to make our community allotment easier for our volunteers to look after. But it’s not just TV stars who get to take the tour. We all look after the allotment together, as none of us could manage an allotment on our own. We share in the planning, sowing and growing – then share out what we pick. We also use some of the produce for meals at our community events. We are always looking for new volunteers. It’s ideal for anyone who wants to grow on an allotment but needs a bit of help, or anyone who has advice to offer to other growers. Please come along to meet us and find out more. 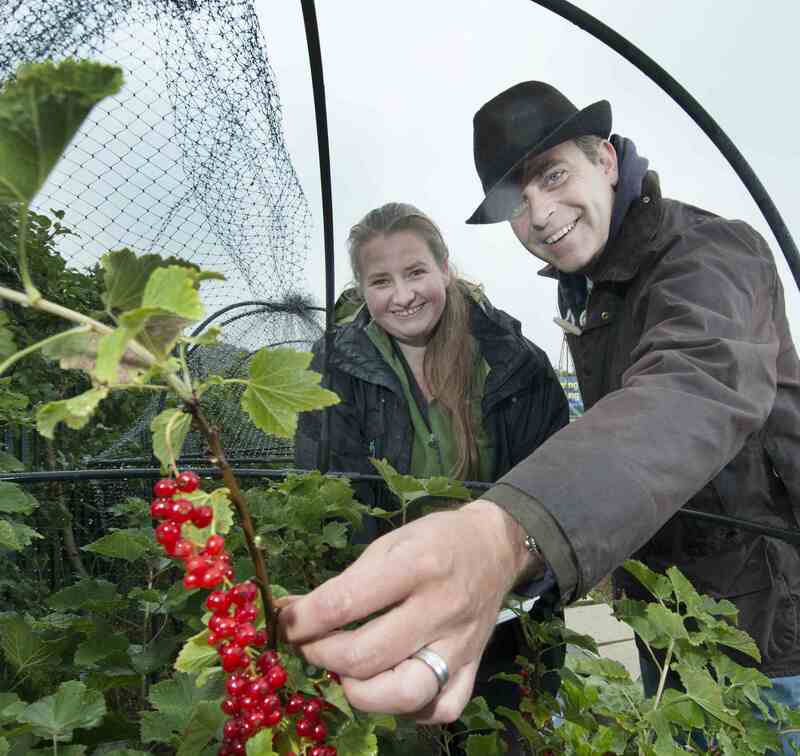 Coronation Street star Simon Gregson (Steve McDonald) visiting the Growing Newsome community allotment in Huddersfield. The Kirklees Summer Show in Greenhead Park on the same day.